Using the metaphor of the labyrinth, we begin at the entrance and the workshops on Saturday will be designed to move us towards our center, opening to deepen the connection with our truth, to inner wisdom, allowing the creative process to flow from our center of inner peace. Interspersed with yoga and writing time, we experience this flow and continue the journey to our center. In the evening we connect with each other through Sharing our Gifts at the Open Mic. On Sunday we begin the return journey; we seek a wider way of reaching out to inspire others and thereby raise the vibration of the planet to more peace. 14:00 - 16:30 Join together for a silent walk along the path of the Camino or Way of St. James which passes just in front of the Chateau. Upon return to the Chateau, we will build a labyrinth for use during the weekend. Weather permitting. Journal writing is a voyage in self discovery, a voyage to the center, to the one creative source that is within each of us. This source may be called God, Allah, the Tao, Spirit, or simply love. With it comes inner peace. This weekend we are using the labyrinth as a metaphor for our inner journey. The word journey has the same route as journal. To journal is to journey. In this workshop we will discuss journal writing and read short excerpts from C.G. Jung, Etty Hillesum, Thomas Merton, and Marion Woodman. We will write our own journal entries, finding images to lead us to the center of the labyrinth. We will write our way to inner peace. In her workshop, Uma will guide you to open to the wisdom of your soul and access the gifts of healing your lineage as you dialogue with an ancestor. Unexpressed truths, hidden stories, and untold life events are often what keep families stuck in the energy of unconscious behaviors. When uncovered, they can be the catalyst for the deepest healing in families. In identifying the ‘dark clouds’ that are hanging over you and keeping you from shining your radiance in the world, you will discover an ancestor’s story that you’ve been trying to live. It’s time to free that story by letting it be born on the page, blessing it and releasing it. The main aim of this group session is to cleanse the Chakras in our bodies. Our physical, psychological and spiritual journey past and present is energetically coded within the Chakras, thereby making each chakra entirely unique. Wisdom from past lifetimes is stored. We will look at the seven main chakras and how they influence various parts of the body as well as the endocrine system, moods, personality and general wellbeing. In the exercises you will be guided to receive inspiration from the chakras themselves which in the end will help in creating your own personal statement of self empowerment. Uma and Daniela will be leading us in interactive exercises at sundown. We will learn how to release resentments, let go of the past, practice forgiveness, and arrive at that "center of inner peace", deepening the connection with our truth, arriving at that place from which the creativity flows. 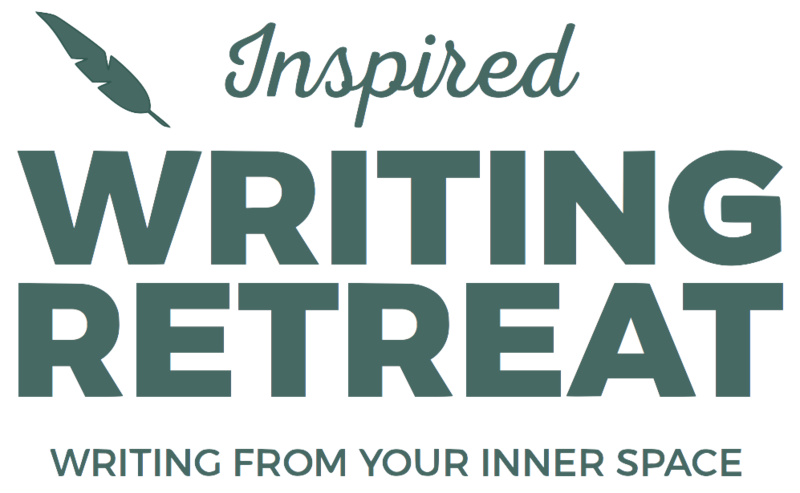 In their workshop, Daniela and Jim will combine their experience of spiritual writing and fiction writing, to provide tools which can be used on a journey to creating Inspired Fiction. Inspired Fiction is writing which draws on inspiration from what is greater than ourselves to create a story that speaks about everyday events in an uplifting, sometimes life-changing way. A life-long fan of authors such as Paulo Coelho (The Alchemist and many more), Benjamin Hoff (The Tao of Pooh) and Robert Pirsig (Zen and the Art of Motorcycle Maintenance), she is convinced that fiction often has an easier way into our hearts and minds than non-fiction. As we leave the labyrinth, we carry with us a deepened sense of peace. It is now, as Etty Hillesum wrote, our duty to reflect this peace to those around us, to share it with our family and friends, with our community. With excerpts from C.G. Jung, Etty Hillesum, Thomas Merton, and Simone Weil, we will find ways to do so, through example, through listening, through writing. There will be handouts and guided writing practices. We will encourage others to find their way to the center – to journal and to walk the labyrinth.